I’ve sent a lot of care packages containing a lot of different kinds of cookies and cakes. 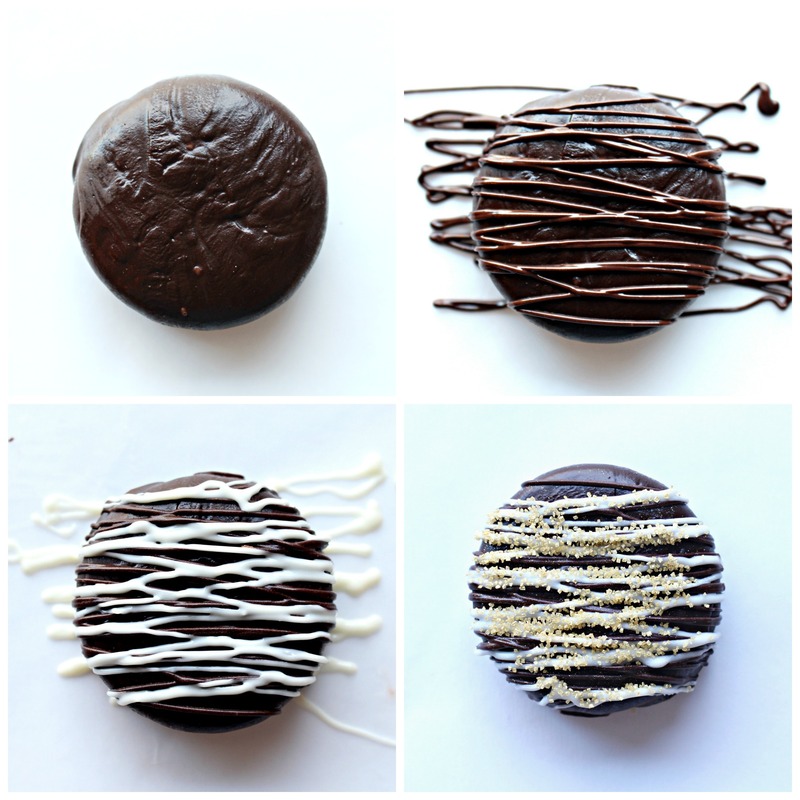 Without fail, the one item that creates the most excitement is chocolate covered sandwich cookies. Everyone loves them, especially when I use mint chocolate cookies. 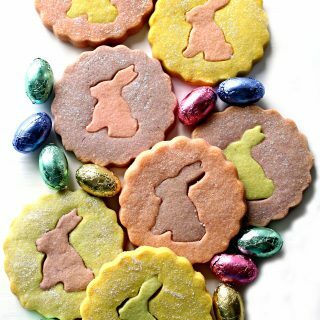 Even though they are easy to create, cookies dipped in chocolate seem fancy, probably because they are expensive to buy at bakeries and chocolate shops. Home made chocolate covered sandwich cookies are not expensive, just impressive and delicious. 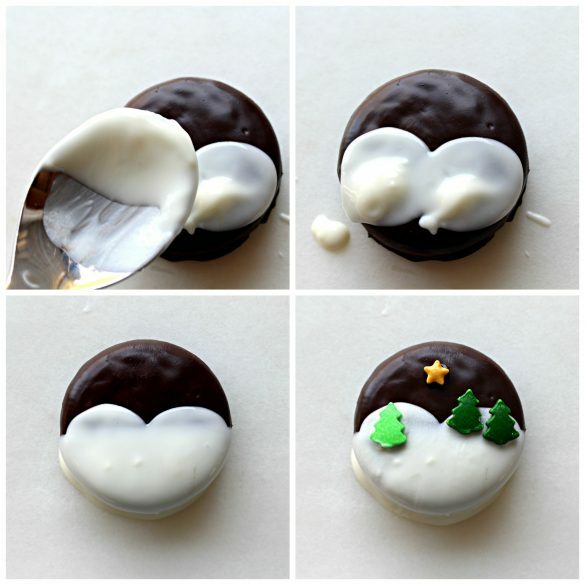 Making Winter Wonderland Chocolate Dipped Oreos is more like a mini craft project than like a recipe. 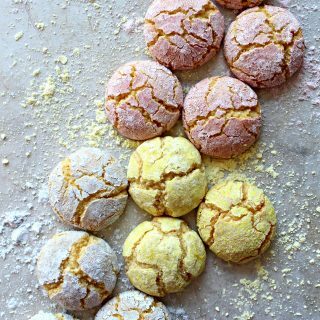 No baking is required. The only heat involved is melting the chocolate. I do recommend using the best quality ingredients possible for the best tasting results. I use Newman’s Own brand chocolate mint sandwich cookies. The ingredients used in Newman O’s are all ethically sourced. 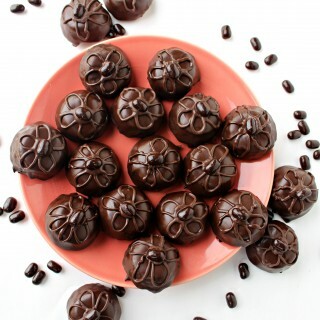 I use Chocoley.com melting chocolate because it is also ethically sourced, tastes great, and is easy to work with. 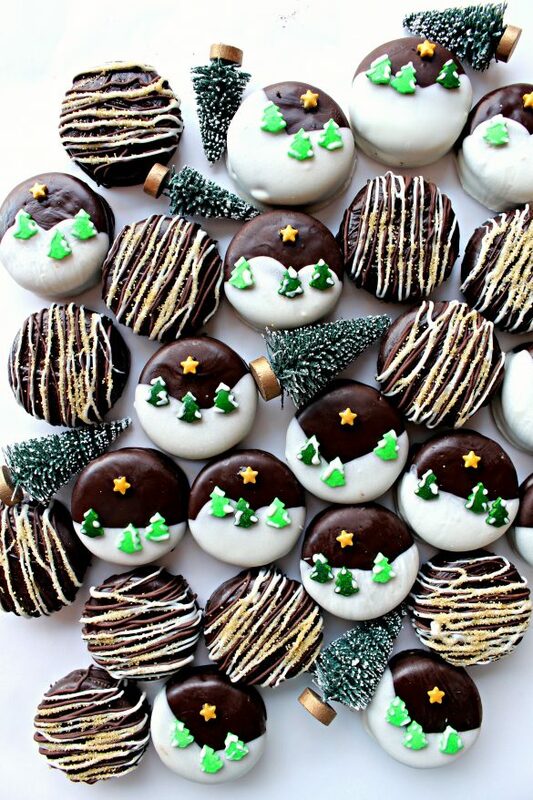 To make 26 Winter Wonderland Chocolate Dipped Oreos, you will need 1 package of chocolate sandwich cookies, 2-3 cups dark or milk melting chocolate ( I use Bada Bing Bada Boom dark candy and molding formula), 1 cup white melting chocolate (I use Bada Bing Bada Boom white dipping and coating formula), evergreen tree sprinkles, star sprinkles, and gold sparkling sugar. First the cookies are coated in melted dark or milk chocolate. 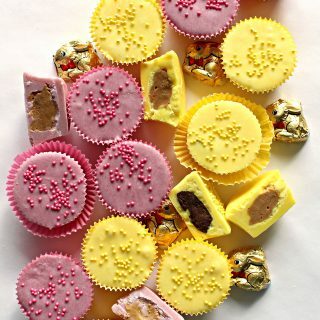 The coated cookies are refrigerated to set the chocolate. Then the cookies are partially dipped in melted white chocolate to form the snowy scene. Tree sprinkles and a star are added immediately to the cookie before refrigerating to set the white chocolate. 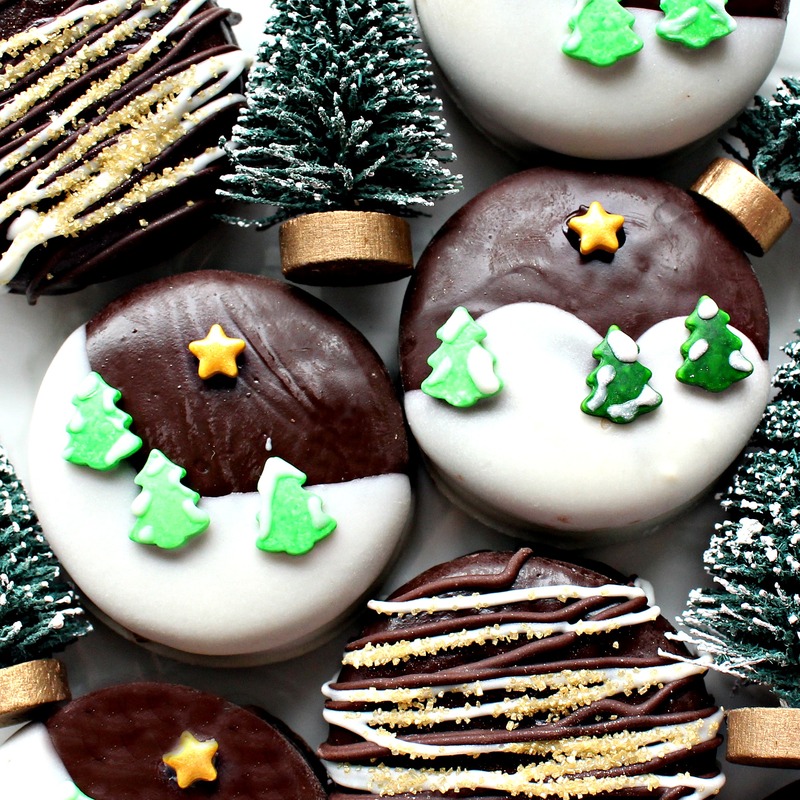 Optional: For those who enjoy going over the top, a toothpick dipped in the melted white chocolate can be used to add snowy details to the evergreen tree sprinkles. Rounded hills can be made by dipping the back of a teaspoon in white chocolate and dabbing it onto the cookie before dunking the cookie into the chocolate. Trouble shooting: Sometimes after the dark/milk chocolate firms, despite following directions, some of the cookies don’t look as smooth and shiny as the others. The solution is decorating camouflage. After decorating the “pretty” cookies, I put the left over dark and white chocolate into small ziplock bags with a tiny bit of a bottom corner cut off. 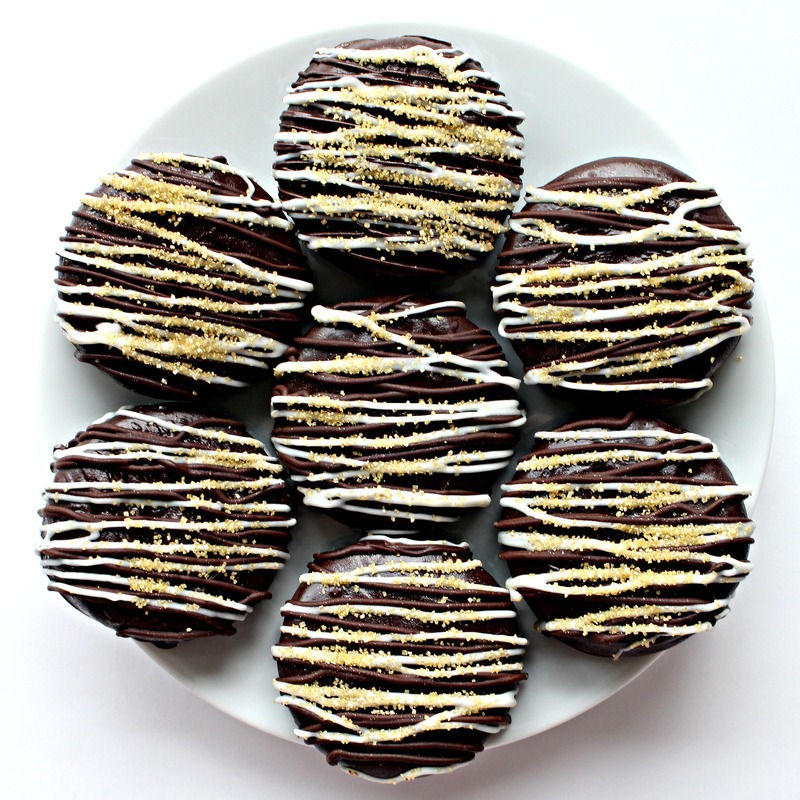 Then I covered my imperfect cookies with zigzags of dark and white chocolate and some glittery golden sugar. No more ugly cookies. 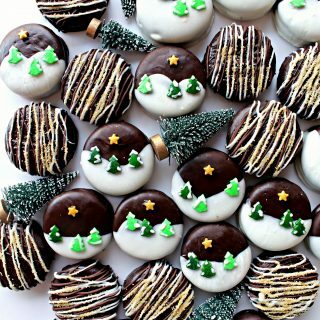 These Winter Wonderland Chocolate Dipped Oreos, along with the glittery cookies, were part of the Christmas care packages I sent to Sailor A. These are the last boxes I am sending to her, because her deployment should be ending in January! I tried to make these final boxes extra special. I’ll be posting details about the rest of the care package this weekend. 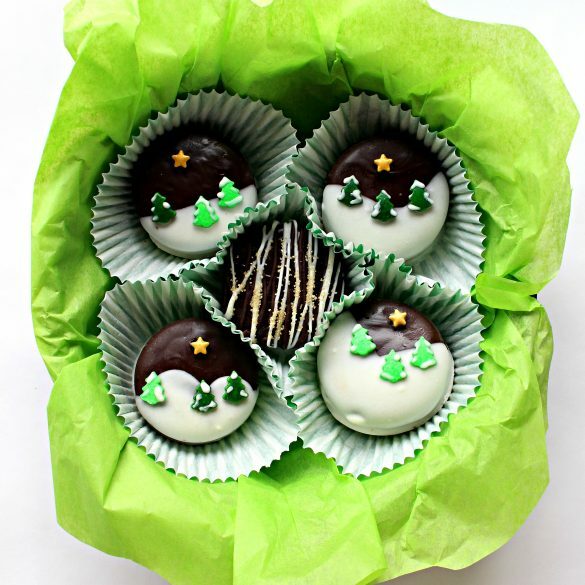 Winter Wonderland Chocolate Dipped Oreos are an economical and appreciated gift for everyone on your list! Line a baking sheet (that will fit in the refrigerator) with wax paper. Melt the dark/milk chocolate and place in a small bowl. Submerge a cookie in the melted chocolate. Use a fork under the cookie to lift it out of the chocolate. Gently tap the fork to remove excess chocolate, then place the coated cookie on the prepared baking sheet. Repeat the process, coating up to 6 cookies. For a shiny finish, work in small batches so that the chocolate doesn’t begin to firm on the cookies before the baking sheet goes into the refrigerator. Place the baking sheet in the refrigerator for about 5-10 minutes, or until the chocolate has set. 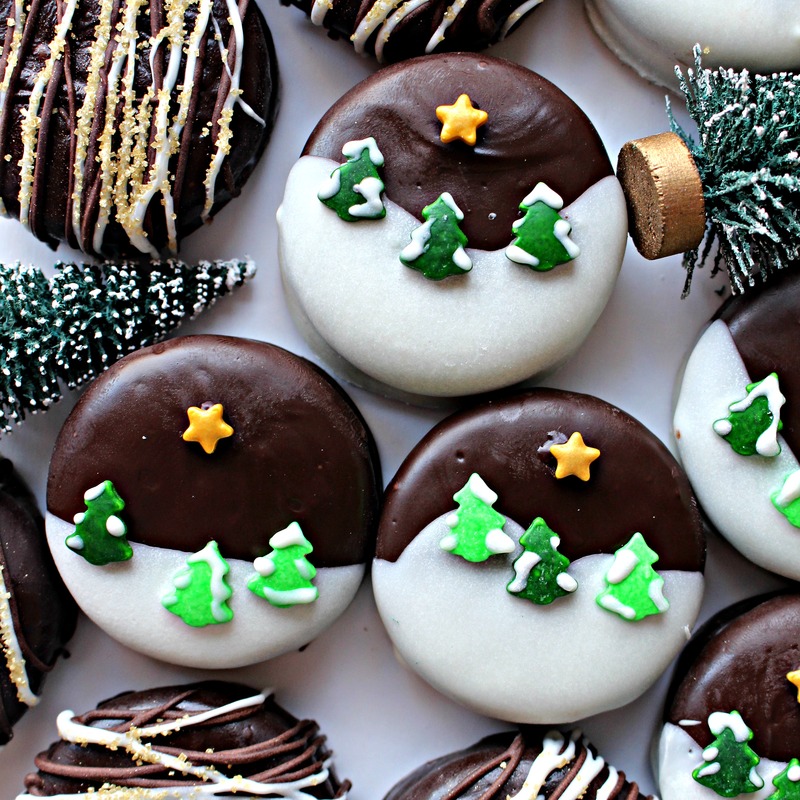 Repeat until all of the cookies are coated in dark/milk chocolate. 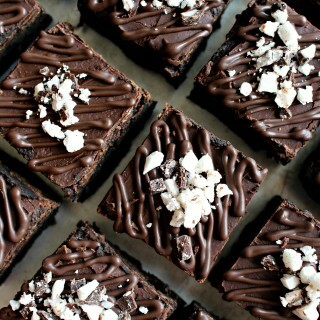 If the melted chocolate cools in between batches, reheat in the microwave at 50% power for 10-20 seconds. When all of the cookies are coated and the chocolate is firm, line another baking sheet with wax paper. Melt the white chocolate in a small bowl. 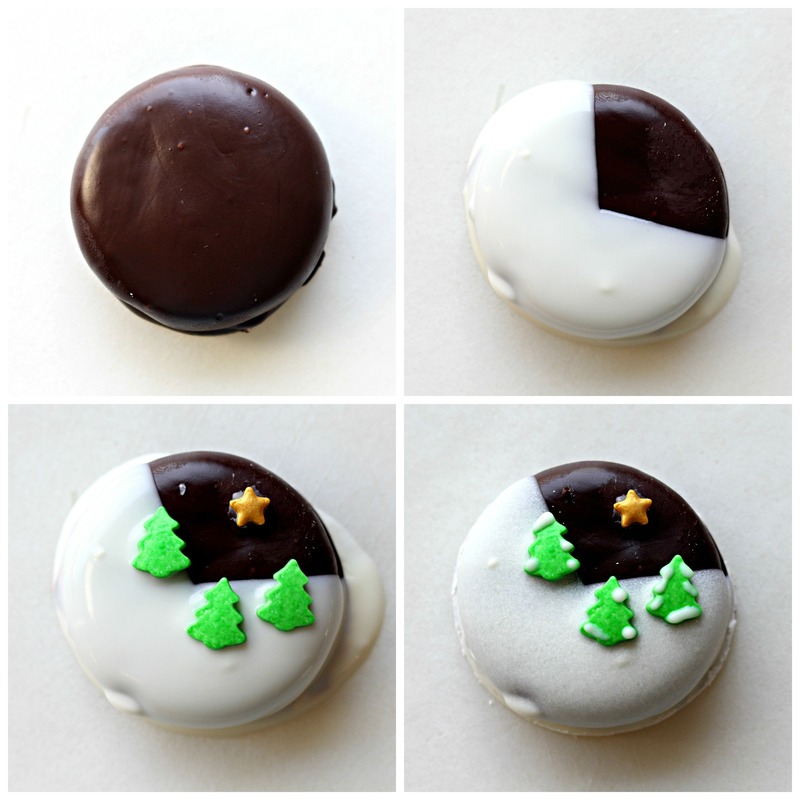 Dip the bottom and/or side of a cookie into the white chocolate to create snow covered hills. Place on the prepared baking sheet. Immediately, add tree sprinkles to the white chocolate. Use a toothpick to dab a tiny bit of melted chocolate on the back of a star sprinkle, and “glue” it onto the cookie. 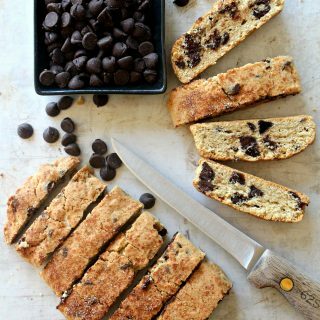 After completing about 6 cookies, place the baking sheet in the refrigerator for a few minutes until the chocolate is set. Optional: Dip a toothpick in the melted white chocolate and add snowy details to the evergreen tree sprinkles. Wrap each cookie in plastic wrap or a self-sealing cellophane cookie bag. Pack the individually wrapped cookies closely in a ziplock bag or plastic storage container. If using a storage container, add crumpled tissue paper between the cookies and the lid, if necessary, to prevent ANY movement while shipping. Dippes Oreos are always a favorite at our house as well, but ours never look this pretty! Now I’m inspired to do better this year! These are absolutely brilliant, on so many levels! The fact that you even added the little snow details to the evergreen tree sprinkles actually makes me so happy, I just love your creativity and attention to detail! And, since I’m sure my attempt at these cookied wouldn’t look nearly as nice as yours, I really appreciate the “decorating camouflage” idea – those zigzag designs look just as professional as all the others, so no one would be able to tell at all! Just brilliant! 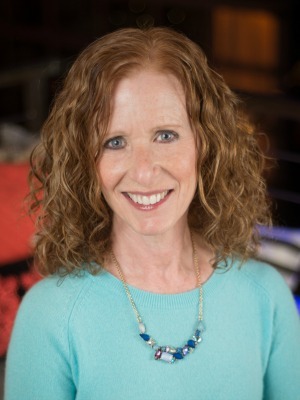 I am seriously loving your blog and posts so much, I love all the details and tips you provide, and you make it all seem so easy! Can’t wait to check out more of your recipes!